3832 E 82nd St, Indianapolis, IN 46250 HercuLean Meal Prep began as a project between two brothers. When Ben decided to get in shape, he enlisted the help of his older brother, Nathan. An accomplished home chef, Ben took Nathan’s old bodybuilding contest diet and added herbs, spices and creative ingredient substitutions to create a sustainable, highly efficient diet that really worked. Ben lost 65 lbs, Nathan lost 40, and soon friends were asking how they could get on the diet. It dawned on us that there was demand for what we had created. On June 1st HercuLean celebrated 1 year in business. We have gone from cooking in Nathan’s kitchen, to getting our license and renting a commercial kitchen and meeting clients by appointment, 7 days a week, to putting the final touches on our retail space on busy 82nd st on the North side of Indianapolis. 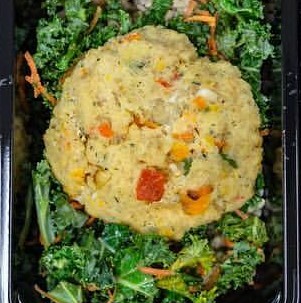 Conveniently located between the Fashion Mall at Keystone and Castleton Square Mall, HercuLean Meal Prep’s first retail location offers our meals for pickup or shipped to your house. Lean beef, braised for 4 hours with the fat trimmed off, paired with brown rice and broccoli. 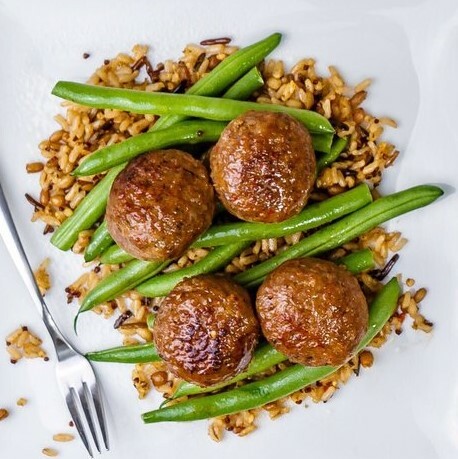 7.25oz of lean ground turkey balled with shredded onions, bell peppers, and spices, brown rice with green beans on the side. 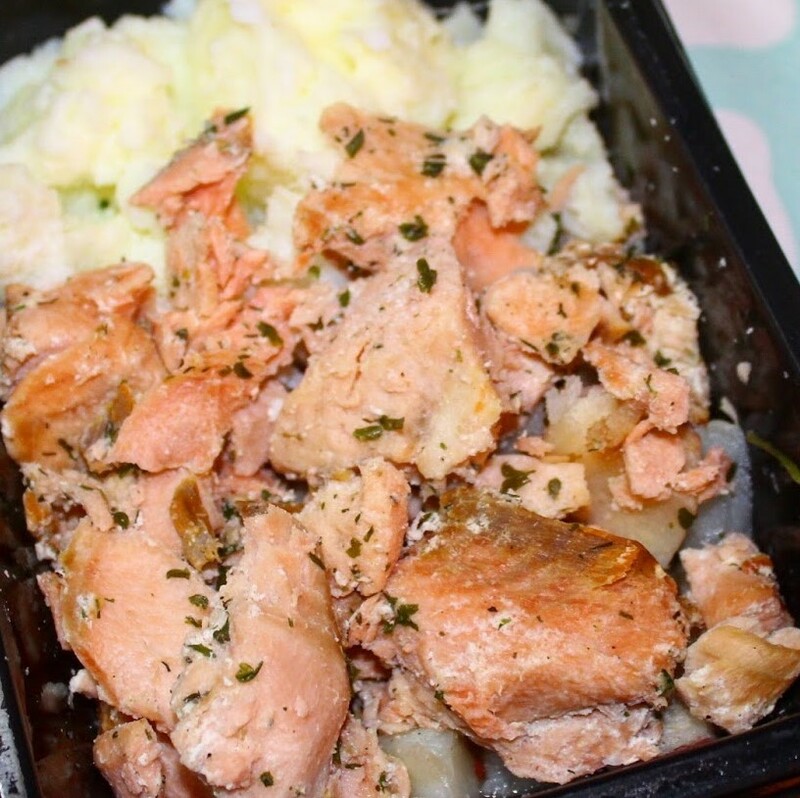 5oz of wild Alaskan caught pink salmon roasted W/ herbs and shredded over 5oz of dice red potatoes and 6 egg whites. A generous scoop of our turkey chili ladled over 6 egg whites and 5oz of diced red potatoes. our famous lean turkey meatballs chopped with bright red peppers, shredded sweet potato hash browns & 6 egg whites. Low sodium chicken sausage. Served with 6 egg whites and sweet potato hash. 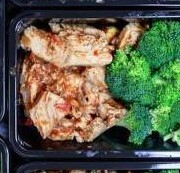 Lean ground beef cooked with sunflower butter served with one full cup of steamed broccoli. 4oz chicken thighs tossed in peanut butter with sesame oil. Served with steamed broccoli. 4oz of chicken thighs in a rich coconut curry sauce with stir fry vegetables. Made with whole San Marzano tomatoes, pinto & red beans, onions, cauliflower and 3 different high-grade chili powers. 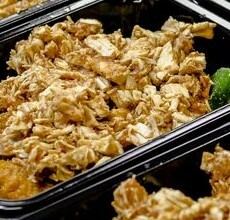 Chicken Breast tossed in sugar free barbecue sauce. Half a cup of mashed sweet potatoes & 1 cup of broccoli. 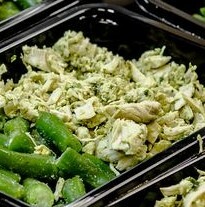 7oz of lean chicken breast tossed in our walnut-basil pesto with Brown Rice and Green Beans. Chipotle rubbed chicken breast, pinto beans simmered with southwestern herbs & spices and a full cup of broccoli. Boneless skinless chicken breast tossed in dijon mustard served over half a cup of brown rice and a cup of kale. Faita spiced chicken breast, black beans, and bell peppers & onions. Creamy Mac & Cheese paired with 7oz of lean chicken breast tossed in our walnut-basil pesto. Cajun style whitefish blackened and served with red beans & rice and mixed greens. Cod loins shredded and packed into a burger patty along with peppers, onions & spiced. Served atop a bed of kale and brown rice. Sweet and tangy made-from-scratch sugar-free BBQ sauce coats our 7oz baked Salmon. Served with brown rice and kale. French style shrimp with a rice pilaf and a French split green beans... 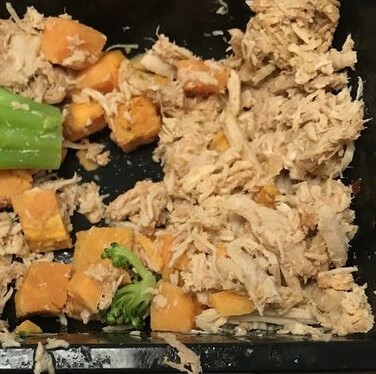 This meal has very little fat and is filling yet low in calories. A nice mix of protein & carbs and a little fat for some energy as well. Served with brown rice and stir fry vegetables. 7.5oz of pork tenderloin with the fat trimmed. Roasted sweet potato cubes and a cup of broccoli.